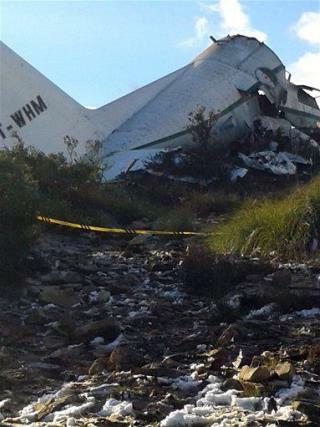 (Newser) – A sole survivor is being treated for head injuries after being found in the wreckage of a plane crash that killed 77 other people in eastern Algeria. The Hercules C-130 military transport plane hit a mountain in bad weather, reports the BBC. "The plane crashed into a mountain and exploded. Several bodies were burnt to ashes and could not be identified," a government official tells Reuters. The crazy thing is, it's the same man who was the only survivor in the 2003 crash also.